Melodia Women’s Choir of NYC participates in the New York Philharmonic’s 175th Anniversary New World Initiative. Our Fall 2016 performance of Largo is featured in the New York Philharmonic’s New World Initiative video, along with an interview with Jenny Clarke, Executive Director. Cynthia Powell-conductor, live in concert. by Jorge Ben, Fall 2013 concert, Visions of Peace, conducted by Cynthia Powell, Artistic Director. Filming by National Headquarters; sound by DMAS; editing and video direction by Diana Whitcroft. Excerpts from Angel Spirits of Sleep from Seven Partsongs for Female Voices and Strings by Gustav Holst at Nov. 2013 concert, Visions of Peace. Conductor and Artistic Director Cynthia Powell. Video by National Headquarters; Video Directing and Editing by Diana Whitcroft. The world premiere of Cassandra, by Hilary Purrington, performed by Melodia Women’s Choir, conducted by Cynthia Powell, with percussion quartet. Commissioned by Melodia Women’s Choir. The final movement of Randall Thompson’s Place of the Blest, performed by Melodia, Cynthia Powell Artistic Director, spring 2015. Performed at Melodia’s Fall 2013 concert, Visions of Peace. Cynthia Powell, conductor. The final song from Melodia’s spring 2015 concert of French choral music. One of the songs in our fall 2015 concert, performed by Melodia, Cynthia Powell Artistic Director and Conductor. With Monica Dockendorf, soloist. Cynthia Powell Artistic Director and Conductor. Recording from Melodia’s fall 2014 concert. This recording by Melodia is a sample of music in our spring 2015 concerts. This track, recorded by Melodia, is a sample of music to be included in our spring 2015 concert. Performed at Melodia’s Questions About Angels concert in fall 2014. Performed by Melodia in spring 2014 at The Poet’s Song concerts. 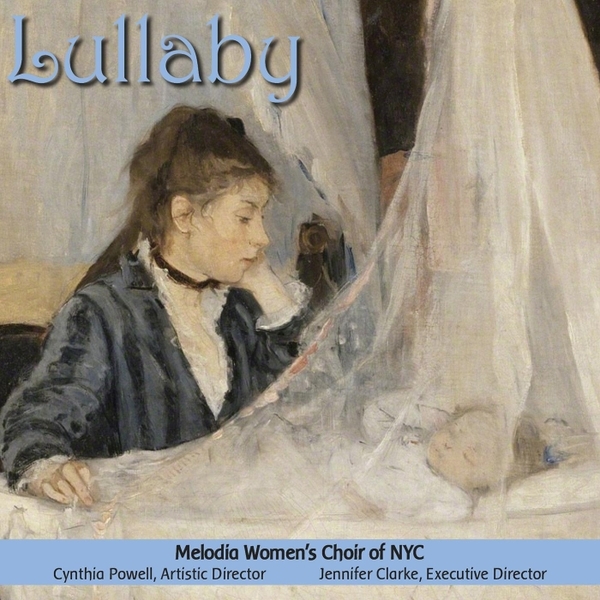 A sample of music from Melodia’s Lullaby CD and our Windsong concerts on November 22 and 23 2014. Sample of music included in Melodia’s Lullaby CD.